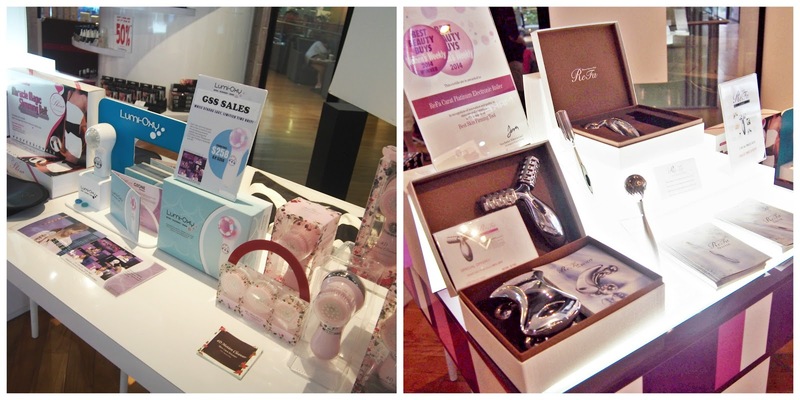 I’m back with Orchard Central, and this time I’m on the trail for all things beautiful. 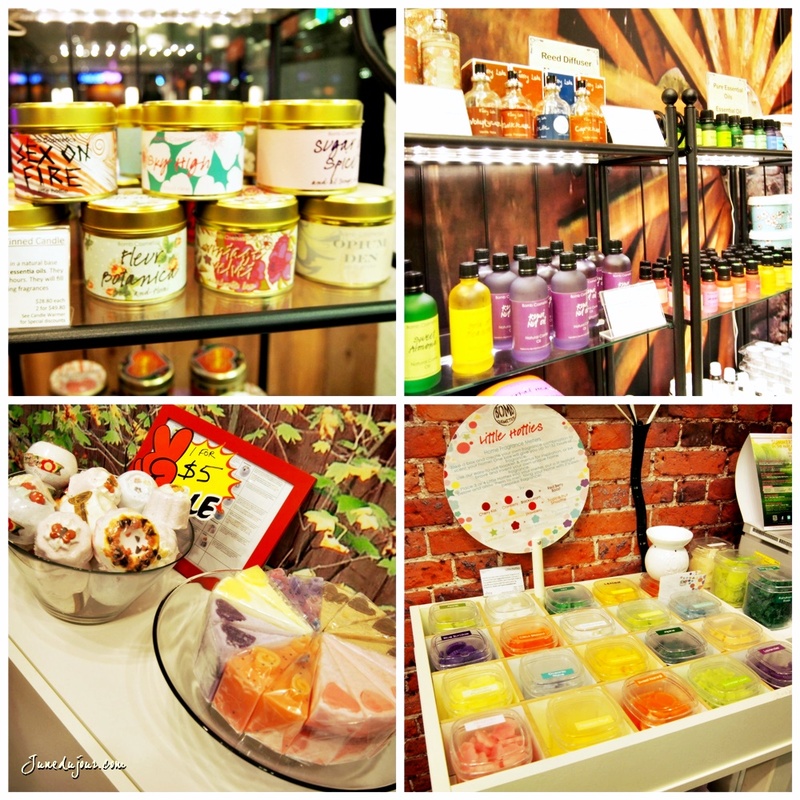 Apart from the generous offerings of food spots, fashion boutiques and lifestyle outlets, Orchard Central is a one-stop shop for the perennial beauty fanatic like me. From stocking up on your favourite brands to getting your monthly personal grooming in check, there's no doubt a place for your personal needs. 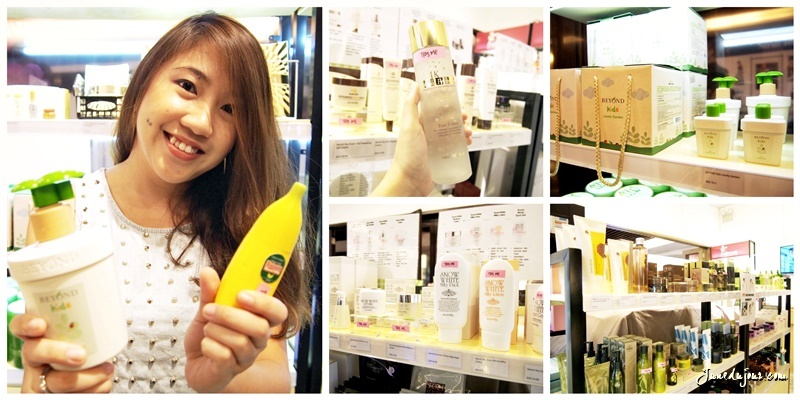 If you are a fan of Korean skincare and makeup, then Full Mask is a stop not to be missed. I’m told that they actually stock the latest arrivals popular brands like Etude House, TheFaceShop and InnisFree at prices that is actually lower than the stores themselves! Or, if you have a penchant like me to try brands that are off the usual beaten track, then Full Mask is the place for you to indulge! Although a lot to choose from, here are my top 3 picks! version and the Hydrating version for ladies with a drier complexion. Love your ampoules and serums but the price is a factor? Fret not, I found an alternative that I believe will leave you coming back for more! It’s Skin Power 10 serums ($13 each) are formulated by Korean dermatologists who created the range to address women’s various skin issues. Especially recommending the liquorice one which helps with skin whitening, and leaves a pleasant tingly after-feel on the skin. Full Mask is located at #B2-44, and currently you can get a free facial mask when you like and share their facebook page, while stocks last! My next stop made me abit nervous but in a good way. I have a confession to make: I’ve actually never done waxing before. My earliest memory of waxing was when I stumbled into my mom using a waxing home kit, and out of curiosity got her to try it on a small patch of my skin. All I can say is, it ddin’t end pretty with a screaming me and a half waxed leg. 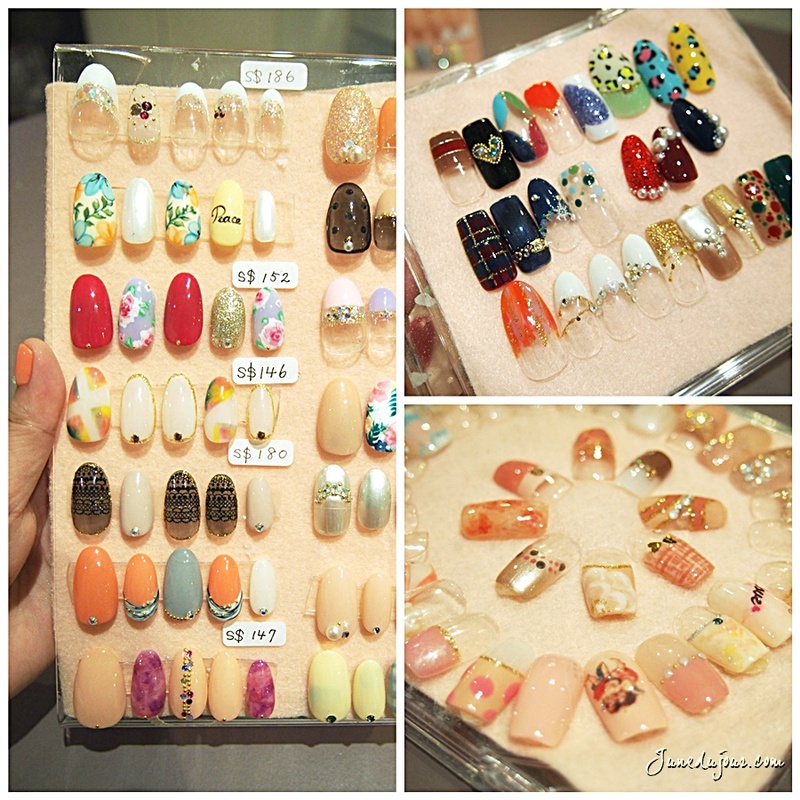 Pink Parlour’s quirky girly interior feels welcoming, sorta like the perfect girls-night out pampering destination. My therapist Maylin, was friendly and chatty throughout the entire. She started off by cleansing my skin, and gently slathering their blue glittery was (so pretty!) on to my legs. Yes, here is a shot of my leg, in all its horrifying overgrown and ingrown hairs. FYI, I’m usually epilate my leg hairs but its limited in terms of ingrown strands as the blades cannot pick it up. I begin tensing up as she proceeded to gently press down a clean piece of paper, while continuing chatting. I give her props in distracting neurotic ol’ me as she swiftly and firmly pulls the strip out in a split second, before I could actually react. And surprised I was, it stung ever so slightly for like 1 second after removing. I was relieved immensely, and for the remainder of the procedure went like a breeze, and we were done in under 30 mins. Just look at the difference! Not only does is the removal immediate and leaving me with much smoother, hairless skin, but I’m pretty impressed that it also removes off dead skin cells that dulls skin. My right leg looks about 4 shades fairer than my left after waxing! Of course, it is still recommended to continue exfoliation to prevent ingrown hairs as this can only be removed by tweezing. Pink Parlour is located at Level 3, #03-29. Move over Sasa, there is a new multi-beauty heavyweight in town. My third stop saw me at Superberry, where its cute name belies a compendium of a whopping 500 products from over 30 brands. From pampering your crowning glory to getting skin in tip top shape, Superberry will have something for you. Also stocking some much raved beauty tools like the Refa Carat I reviewed previously, as well as the Lumi Oxy hand-held light treatment device to even out skintone and reduce scarring appearances. I couldn’t resist playing with this Gaya 5-in-1 Mineral Foundation which features 100% natural ingredients and multi-tasks as a concealer, finishing powder, setting powder! I am definitely sold on its natural sun blocker given our humid climate. For ladies looking for a natural matte finish but want to do away with too many products, this is for you. Eyelashes frame the windows to our soul, so I decided to give Mascara Amplified by Blinc a try. And it doesn’t disappoint, giving my lashes instantaneous volume and length. For ladies with oily lids like mine, the mascara forms tiny water-resistant “tubes” around lashes to prevent any smudging or running. Also couldn’t resist indulging myself in some of the Human + Kind, an award-winning skincare range which I personally love for their Lightening and BB Cream range, which contains active ingredients to moisturize and treat skin imperfections whilst giving coverage. Super Berry is located at Level 3, #03-29. As always, I saved my favourite for last. My deep-rooted love for handmade, natural skincare is an open secret, and so you can imagine my excitement when we reached Shea. SHEA features a vast array of handmade, essential oil infused natural products sourced from around the world. For someone like myself suffering from Atopic Dermatitis and Eczema, their products caters to various skin types like sensitive skin s, reducing wrinkles and stretch marks, and those suffering from skin ailments like eczema and psoriasis. Most of their items contain pure handpressed Argan Oil (Morocco), pure unrefined Shea Butter which helps to soothe and aid in skin's natural healing process. My top 3 picks….argh by far the hardest to choose, because I simply wanted everything in the store! I was highly recommended this Nyassa Hair Oil by Jit, who was kindly showing us around. For those suffering from dandruff and oily scalp but dry hair, the oil helps to treat it without sapping away its natural moisture. Plus, for those who love swimming, you can also apply this as a pre-treatment to protect it from the harsh chlorine of pool water. I was totally blown away by this unique soap from Bomb Cosmetics (UK). The founders came up with the pretty ingenious idea of making a body soap WITHIN a sponge; yes you heard me right! Rather than having to apply soap on your bath sponge or loofah, simple lather with water and scrub away! As far as scents go, they smell divine with pure essential oils infused; giving bath-time an added dimension of aromatherapy as your slough the weariness away! Available in 5 different fragrances, I picked Parma Violet for its faint smoky floral scent! The SHEA Soaps, which are not only beautiful to look and smell, but they pack amazing skincare benefits. My favourites are the YG Rose Butter Soap and Mediterranean Wild Herb Soap for a reinvigorating bath experience, and also perfect to rid the grimes after a sweaty day! I am raving so much about SHEA that I actually went back the very next day to stock up more! SHEA is located at Basement 2, #B2-47/48. My beauty trail ended with a cherry on top. Courtesy of ES Beauty Tokyo, I was kindly given the opportunity to experience a top notch manicure experience with Kayo, their resident nail artisan. Walking in, I took in the zen feel with ES Beauty’s minimalist white interior, feeling quite at home. Kayo is an experienced nail artisan who has done countless intricate nail arts and boy was I spoiled for choice when she showed me her collection of handiworks. After long consideration, I picked this quirky pop colored gel nail theme with gold stud and diamante accents. She started off with the buffing and shaping before adding a layer of nail gel…. After that was done, Kayo then moved on to add the pop shades of peachy orange, dove grey and white and it was off to the express dryer for the nail lacquer to set! Especially when it came to doing the slight stripey patterns, I am amazed at the level of skill she did so with the professional brush, without a single error! And just behold how intricate is the handiwork: I had to take a video of how Kayo-san meticulously position the miniscule diamantes and studs on to the nail. I was not disappointed. At the point of writing this, it has been about 1 weeks since and my nails look as new as ever! Although personally I am not quite a nail person, this pampering experience has changed my mind...who knew how great-looking nails can lift your spirits! For the prettiest nails by Japan’s finest, I’m definitely going to recommend Kayo-san for her bubbly demeanor and top-notch meticulous service. ES Beauty Tokyo is located on Level 3, #03-21. Not sure about you but I’m definitely psyched about coming back to Orchard Central the next time I need a beauty pick-me-up; have you spotted some places that you’d like to come experience for yourself? Thank you Orchard Central for the lovely day of beauty pamperings and shopping, this was really heaven to a beauty blogger like myself!